Today is May 1. While the day itself is not significant to the tech world, I realized this afternoon that we are no longer in April and got to thinking about how fast this year has flown by. We are already in the 5th month of a year that has included trips to Las Vegas for CES, a week of announcements from MWC in Barcelona, and a couple of major product launch events like HTC with the One and Samsung with the Galaxy S4. There has been a lot to talk about, especially when you think about both of those phones in particular which will dominate the mobile landscape for most of the year, especially since they have such a broad reach in terms of carrier availability. Well, except for on Verizon. As I mentioned, we’re starting month five of 2013 and Big Red has yet to release anything worth a second look in terms of a smartphone. It still hasn’t released either of these phones, one of which it may not offer ever. What’s up, Verizon? As you all know, HTC released the One as their new flagship for 2013 with availability at AT&T, T-Mobile, and Sprint. Verizon, for whatever reason, decided to pass on what may turn into the phone of the year without something in line to take its place. So here we are hoping there is a DROID DNA+ or that Verizon comes around and finally carries the One even without the DROID tag attached. 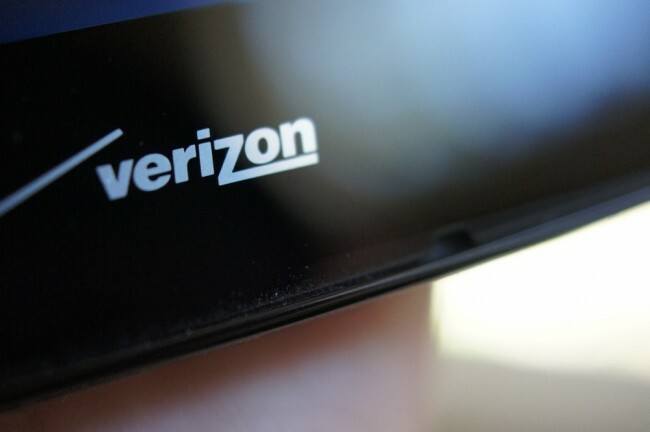 We’ve heard rumors suggesting that Verizon thinks they can’t sell anything unless it’s DROID branded, a part of Samsung’s Galaxy line, or is an iPhone. Speaking of Galaxy phones – by the time Verizon releases their version of the Galaxy S4, they’ll then have gone five full months without having released a meaningful phone. We know the GS4 is on the way, since pre-orders have already opened up, but every other carrier on the planet will have had theirs available for almost a month by the time May 30 rolls around. So what has Verizon been up to? Well, changing policies, and more policies. Updating a lot of phones. Adding tons of new customers in Q1. And then releasing phones like the LG Lucid 2. As someone who has been with Verizon for more years than I can count, I’m itching for something new. Where is it? Will there be a DROID DNA+ or a Verizon One? We think so. Is Verizon simply waiting for Motorola to come out with something new that they can carry exclusively like the RAZR HD? Hell, even Apple has said they won’t release new hardware until the fall, so it’s not like they are waiting for a new iPhone. What’s the hold-up? Maybe we’ll get a multiple device unveiling at CTIA in three weeks? Please.